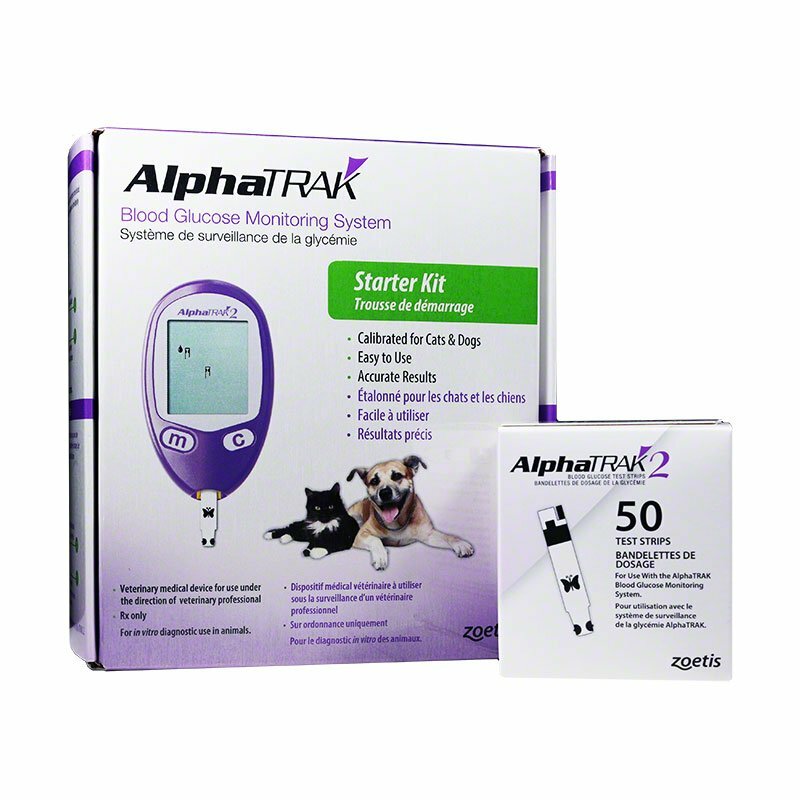 AlphaTRAK 2 Veterinary Blood Glucose Monitoring Starter Kit w/50 Extra Strips has everything you need to manage your pet's diabetes. It is a portable blood glucose monitoring system validated for cats and dogs. It comes with the AlphaTRAK 2 Blood Glucose Monitoring System, 25 AlphaTRAK 2 Test Strips, Lancing Device, 30 AlphaTRAK Lancets, AlphaTRAK Control Solution, Diabetes Diary, User's Guide, a Carrying Case, plus an extra 50 AlphaTRAK 2 Test Strips (75 strips total). 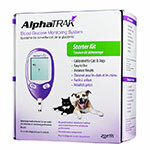 AlphaTRAK 2 Veterinary Blood Glucose Monitoring Starter Kit w/ 50 Extra Strips has everything you need to manage you pet's diabetes. It is a portable blood glucose monitoring system validated for cats and dogs. I am a beginner and I am having a problem drawing blood from the Cat's Ear. I can never find the Vein....I keep piercing the ear and the cat howls. I need help. I never thought to take blood sugars on my dog and that 2-4 times daily! Uncontrolled diabetes, but with can track his bloodsugars myself without issues. Purchasing this machine pays back. I bought this for my daughter and her kitty for Christmas. I am sure they will they will enjoy the easy use tool. After a brief tutorial from our Vet’s office, the use of this product became very simple. Holding my diabetic cat still will be the hardest task I believe. Our kitty has been on several units a day, our goal is to keep up with and possibly reduce that amount. Hopefully this will enable us to that end. Thanks go to the agent on the order line that steered me to the best economic package! Much appreciated! My 9 yr old dachshund has developed diabetes. This is so great to be able to check her glucose at home instead of paying $19 each time at my Vet..all I need to do is keep my Vet informed of her levels .. I read it’s a learning curve to get the blood sample. Used my meter one day and yes it took a 2 person Team. Using the pad on the back paw worked two times. That vein in the ear even with my vet showing me still is my struggle. The lancet plunger I’m still practicing with. Human testing is much easier than dog testing. But stabilizing my dogs diabetes is too important to give up. He got good numbers at home.